If your plans for the new year include learning a new language with your kids, or passing on your native language to them, there is one New Year’s resolution that will help your kids learn faster and also make the process more fun for the whole family. In addition to the many and varied benefits to being bilingual, new research has found something new: bilinguals have more efficient brains that filter out important information from a mass of data faster than brains of monolinguals. This amazing brain benefit is seen as early as infancy. Babies exposed to more than one language have faster image recognition compared to their peers. Increase Their Language Exposure – And Don’t Give Up! Parents can become frustrated that their kids aren’t picking up the second language “automatically.” Aren’t their minds supposed to be like sponges? It may be that they need broader language exposure, in more areas of their lives. It’s estimated that kids need to be exposed to a language at least 30% of the time before they begin internalizing it. There is a growing movement in Europe that disperses foreign language instruction throughout the entire curriculum, instead of keeping it isolated in a single language class. In the US, language immersion schools are becoming more popular, and their students are showing very promising results. True internalization happens when a new language reaches into all different corners of a child’s life. In order to learn a new language, your child must learn its essential vocabulary. While this may sound like an enormous task, the bulk of any language is made up of a few hundred words, so you don’t have to know the majority of its words to communicate effectively. Knowing filler words like “and,” “but” and “so” are essential because they buy a few moments to think what to say next. It also helps to practice answers to the most commonly asked questions, like “Where are you from?” and “What do you like to do?” because it boosts a new speaker’s confidence. To help your kids learn vocabulary faster, try practicing it in a way that is fun and self-motivating! By weaving language into activities they already love, new words will quickly become a real part of their lives. We know, of course, that kids of all ages benefit from the simple act of reading with their parents. Little ones also respond well to singing in a new language. Or, try turning a kids’ treasure or scavenger hunt into a language learning game! Parents can find a wealth of kid-friendly content online by using Google or websites like Youtube. Older kids might be interested in foreign kids’ TV shows, foreign music, kids’ blogs in foreign languages, cartoons, recipes, or even video games. It’s also great to get your kid’s friends involved. You could have a foreign language movie night, or foreign language-themed party with word games like Pictionary and karaoke singing. If you can, set up a play date with other kids who speak fluently. Being in the midst of a foreign language play date can give your child a new appreciation for the language, and greater motivation to participate in the conversation. Whatever fun, motivating activities you decide to take on in 2015, be proud that you’re making the effort to give your kids the gift of language and culture. Rest assured, it’s a gift they will benefit from every day of their lives. 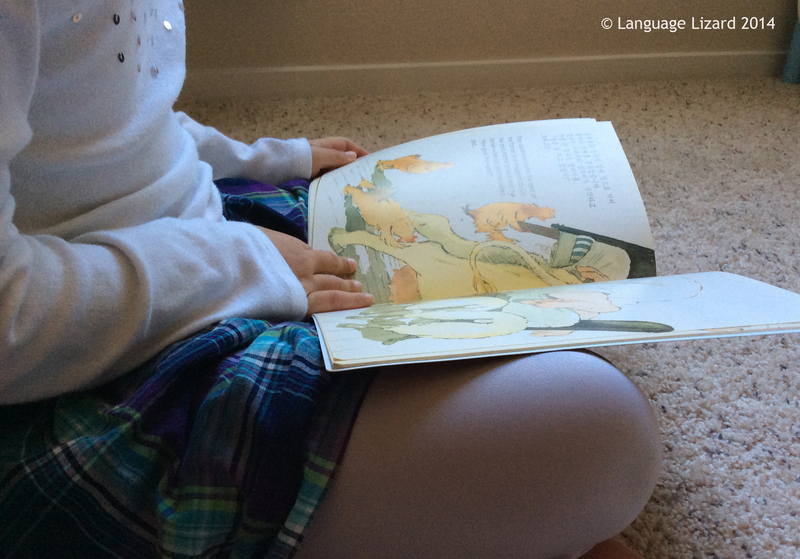 What kind of language-themed activities do your kids love doing? Post below and share your ideas! Scavenger hunt photo by Umair Mohsin via flicker, some rights reserved. What a great post! Thank you so much! !